Childhood obesity is a growing problem that affects approximately 12.7 million American children between the ages of 2 and 19. The month of September is National Childhood Obesity Awareness Month and in response to this growing national epidemic, the Corona Police Department has established the “Run with ACOP” initiative as a community partner with the 100 Mile Club®. 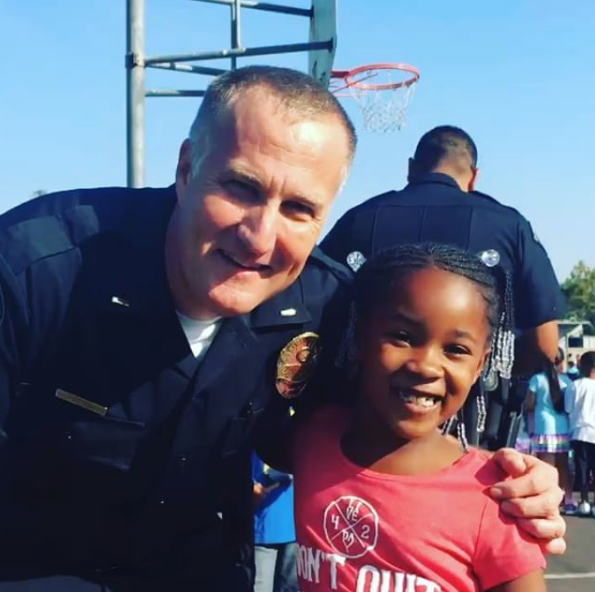 “This is another great opportunity for the police department to partner with the school district and now the 100 Mile Club in our continual effort to mentor and engage the youth in our community,” said Corona Chief of Police Michael Abel. “It’s truly a win win for the officers and kids.” On a monthly basis, the Corona Police Department will host a “Run with ACOP” event where participants will receive credit for each mile they log while at the event. As participants reach designated milestones, they will receive a color coded wristband as well as an honorary police rank in recognition of their accomplishments. Only the miles accumulated at “Run with ACOP” events count towards “Run with ACOP” milestones; however, these miles may be used towards the runner’s 100 Mile Club® progress when approved by their school. Dates: The second Tuesday of the month. Starting September 13, 2016, and ending May 9, 2017.